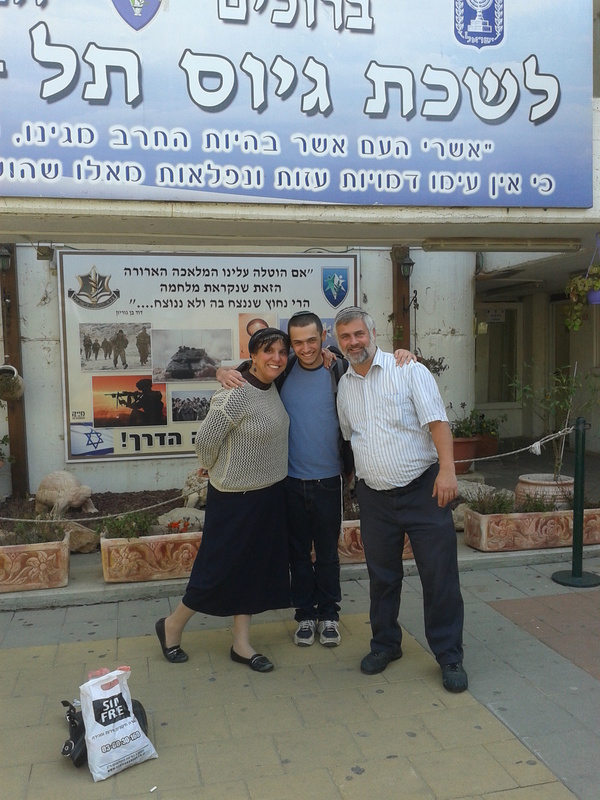 Yesterday, my wife and I dropped off our oldest son, Moshe, to begin his service in the IDF. Since I never served in the army myself, and since our two older daughters did National Service, this was a first for us. I’ve lived in Israel for almost 18 years, and never have I felt more like an oleh chadash (new immigrant) than I did yesterday. Paradoxically, though, I’ve also never felt more Israeli. Our son is enrolled in a five-year hesder program that combines military service with Yeshiva study. 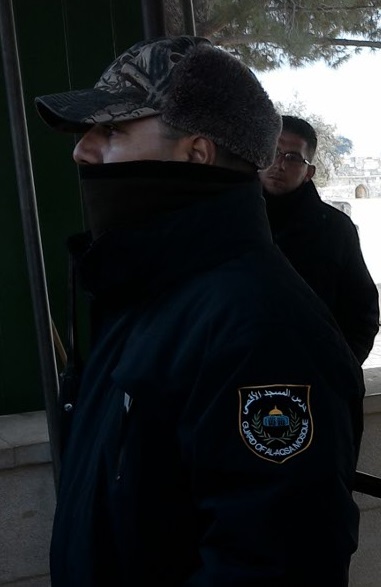 He enlisted in the Givati Brigade together with an entire group from his Yeshiva, and a few other Yeshivot also had groups enlisting yesterday. Amazingly, as the boys gathered at the enlistment point in Tel HaShomer, each group greeted their friends enthusiastically, with singing and dancing (watch video)! 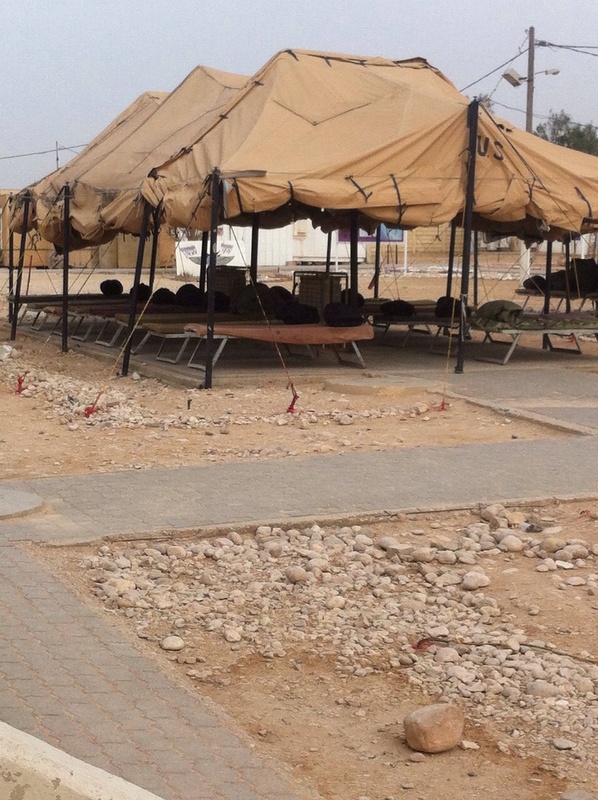 Even later in the day when he got to his training base and sent us a picture of his “dormitory” (see below) he was in great spirits. As a parent, I can’t say I feel exactly the same way. 18 years ago, when I made Aliya, many people asked me what I thought about the idea that my son (who was two years old at the time) would one day have to serve in the army. My answer was always the same: “I hope it won’t be an issue. I hope that by the time he’s old enough, there will be peace and we won’t need an army anymore.” This response usually elicited a chuckle or a sarcastic response, followed by, “No – seriously…”. People reacted as if I had found an elegant way to avoid dealing with the issue. But I wasn’t avoiding anything. I meant it in all sincerity. I was perplexed that people seemed to think my proposition – that maybe there would be peace – was so unrealistic. Often, these conversations took place in shul, just after we finished praying. I wondered what it meant that a person who just finished reciting the Amida prayer, with its multiple requests to bring the Messiah quickly, can so easily scoff at the suggestion that perhaps, in 15 or 20 years, those requests might actually be answered! Over the years I have self-righteously repeated that story in various venues, exhorting my audience to consider whether they really believed in the Redemption. But yesterday the day finally arrived, and unfortunately, the Messiah isn’t here yet. Our army is still just as necessary as it was when Moshe was a baby, and last summer, we saw exactly what being an Israeli soldier can still mean. So for the past few weeks I’ve been asking myself what it means that this moment has finally arrived, and in spite of my confident declarations over the years, the issue still is very relevant. But then last week, I remembered another story that happened around 17 years ago, shortly after making Aliya. I was in Eilat with a group of students. Sitting in the lobby of the youth hostel, I struck up a conversation with an elderly gentleman who was working there. At one point in the conversation, the man lifted his shirt to show me that he was carrying a tiny miniature pistol in his belt. It was only about four or five inches long and looked like a toy, but the man insisted that it was an actual, fully functional handgun. He then explained that he got such a small gun because he carries it with him wherever he goes, all the time. “You will never catch me without it,” he said. I asked him, as a resident of Eilat, why he needs to be armed all the time. There are, of course, dangerous places where one might feel the need to carry weapons – but Eilat isn’t one of them. Did he really feel that he couldn’t walk out of his house without a gun? That powerful story has stayed with me over the years, and last week I realized that it was the answer to the issue I’ve been struggling with. No, the process of Redemption is not yet complete, and we still need an army. But the thing is that we have an army!! And that means the Redemption is well under way. Moshe is the first person in our family in several thousand years to serve in a Jewish army. That’s a huge privilege. Yes, it’s something to worry about, but it’s also something to be proud and even happy about, and to thank God for. That’s the paradox of these amazing and confusing times. I guess I really am Israeli now. This entry was posted in Uncategorized on March 11, 2015 by rabbihaber. Last week, I went up to Har HaBayit (the Temple Mount). I’ve been there a number of times before, but this time was different. In the past, I have gone to the Mount as part of an organized group of religious Jews led by a rabbi. This time, I was there as part of the course I’m taking to get my tour guide license. My classmates are mainly secular Jews, and there are some non-Jews in the class as well. I was the only rabbi with us. In some ways this experience was even more uplifting and inspiring than my previous visits, and in other ways, it was even more infuriating and humiliating. Let me explain. 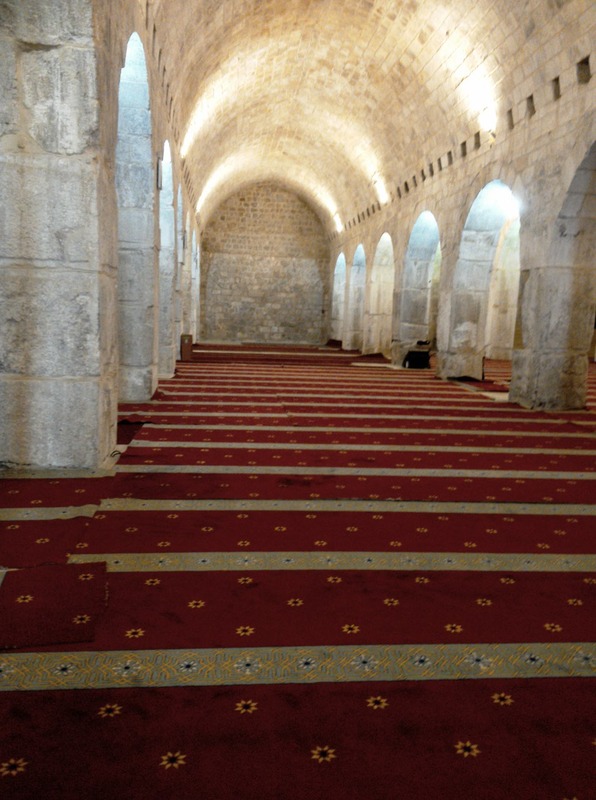 The policy of the Israeli government and police is to allow Jews to visit the Mount, but not to pray there, since that would apparently offend the Moslems. But for some reason, while the police vigorously enforce these prohibitions, they allow deliberate provocations from the other side. For example, groups of Arab women are bussed in to Jerusalem every day, just to follow Jews around the Temple Mount, shout loudly at them and taunt them (rumor has it they are paid a salary for their services). See this video for an example. In previous visits I have gotten used to this intolerable situation. But this time, going “incognito” with a group not identified as religious, I was left more or less alone. Going up as a tour guide and not as a religious Jew also gave me the opportunity to enter a few places I otherwise would not have been able to, mainly the underground chambers from the time of the Second Bet HaMikdash known (inaccurately) as “Solomon’s Stables”. That was really amazing. 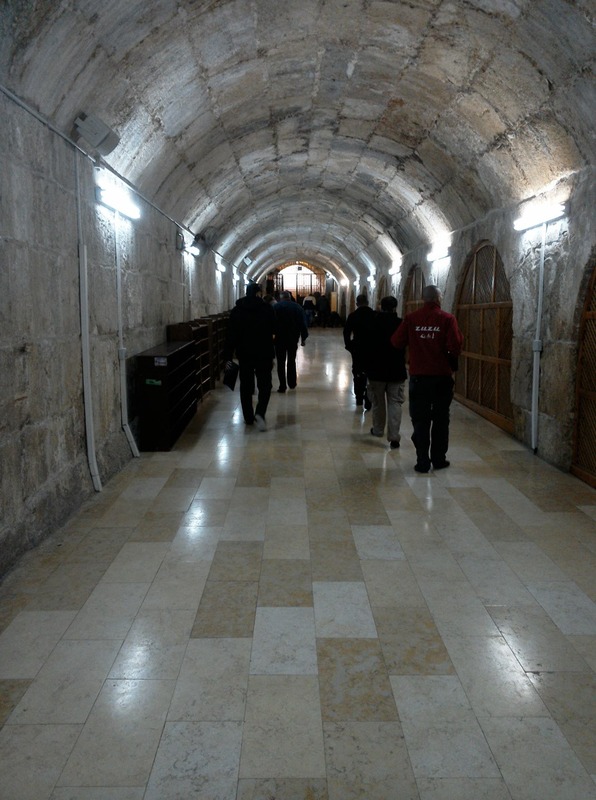 Hallway ascending to the Mount from the southern gates known as “Shaarei Hulda”. Our ancestors in Second Temple times used this entrance to the Mount. So why do I say that my visit was also infuriating and humiliating? In order to avoid offending the sensibilities of the Moslems, we were told in advance that we would not be allowed to display any outward Jewish symbols such as a kippa or tzitzit. These would need to be concealed. This bothered me greatly – do I really have to hide my Jewishness here, in the heart of Jerusalem?? But then it got worse. At one point the police told us we would need to remove our hats altogether and walk bare-headed. I explained that I didn’t want to do that; I always keep my head covered for religious reasons, it was a hat and not a kippah, and all the tourists on the Mount were also wearing hats (it was raining). But I was told that this is the rule and if I did not comply, I would have to leave the Mount immediately. I couldn’t believe what I was hearing – I have never received a demand like that from a policeman, anywhere in any country (to the contrary; wherever I go, the police protect my rights). Was an Israeli policeman actually demanding that I remove my head covering??? Here, of all places??? I had to make a split-second decision: comply with the demand, or be expelled from the Temple Mount. I’m not sure if I did the right thing or not…but I complied. A few minutes later, with my hat back on and in a better mood, I experienced an even more exhilarating aspect of the visit. On two separate occasions I needed to wait for my group (for example while they were in the areas that halacha prohibits entering). According to Jewish law, one is not allowed to engage in frivolity or idle chatter on the Har HaBayit, so those waiting times gave me the opportunity to observe the mitzva of mora mikdash – reverence of the holy site. Although I am strongly opposed to them, I was careful to abide by the rules that prohibit Jews from praying out loud. So I simply stood still, staring at the Dome of the Rock (where the Holy of Holies is) and contemplated the awe-inspiring significance of the place. Even though I did not pray out loud and I made sure to follow the rules that my lips not be seen moving, I did manage to recite Psalm 24 to myself about five or six times. With a religious group, the police generally keep the group moving, so there is no time for that. But then, a wakf guard noticed me standing there, absorbed in my thoughts and swaying softly. He immediately approached and told me that praying was forbidden. I responded that I was not praying; just standing there. He insisted that I stand in a different pose in order to make it clear that I am not praying. An Israeli policeman then asked me to sit down so that nobody would think I was praying. 1) In spite of the indignities, we must be very grateful for the fact that we have the right and ability to visit this holiest of places in accordance with the demands of halacha and in safety and security. 2) The humiliation I felt at the hands of the authorities was once commonplace for Jews. Thankfully I have almost never experienced anything like that – certainly not here in Israel but not in any other country either. The experience was, therefore, a helpful reminder that the Redemption is still not complete. It highlights the paradox that although the city of Jerusalem has been rebuilt in the most splendid of ways, its most important part remains in ruins. I felt the churban very clearly there. 3) It is unconscionable that the Israeli government allows this type of disgrace to go on. We must use every legal means to pressure them to change this policy and allow Jews to pray openly and securely. If Moslems object and attempt to interfere, it is they who must be removed from the Mount. But we must understand that the reason this is happening is that most of the Jewish people doesn’t understand the significance of this place. Imagine if the government wanted to restrict Jewish prayer at the Kotel. Any government that even attempted such a thing would be brought down within minutes, because the Israeli people would not stand for that. 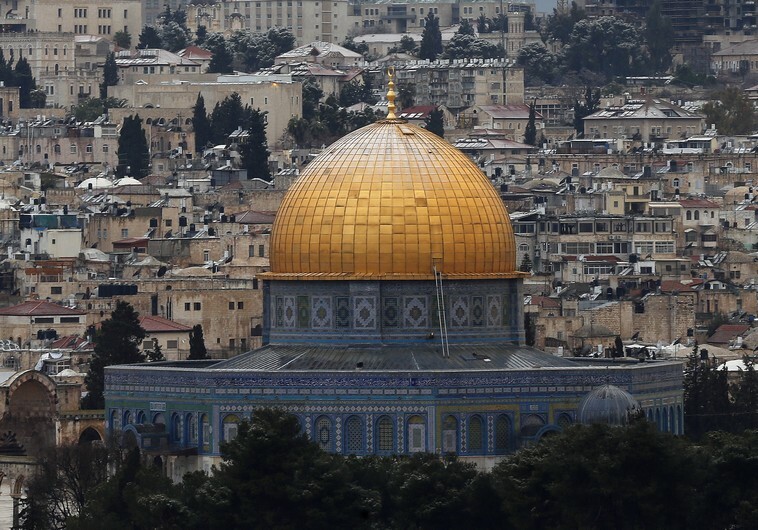 The humiliation at the Temple Mount will similarly end when the Jewish People are reconnected with it. Thus, the solution to this injustice, like so many other things, comes down to the need to encourage more and deeper Jewish education. We must redouble our efforts to teach more Torah to more Jews everywhere. Ultimately that is what will lead to our Redemption. The halachic questions regarding entering the Har HaBayit should be the subject of a separate article. For now, I will say that many rabbis hold that it is prohibited at the present time to enter the Mount at all. However, I obviously follow a different opinion, also supported by many authorities, that allows it provided one immerses in a mikveh first and observes various restrictions regarding the areas of the mountain that are permissible, and regarding appropriate conduct on the Mount. This entry was posted in Uncategorized on March 4, 2015 by rabbihaber.